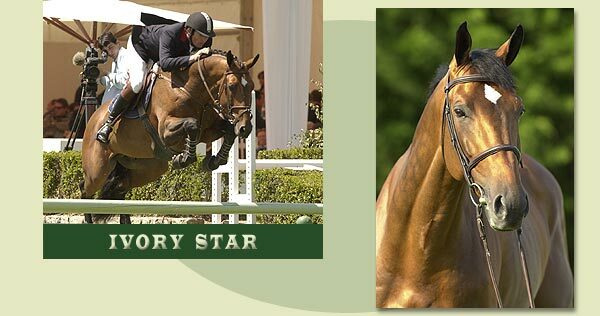 IVORY STAR has spirit, power, suppleness, respect and the cleverness of the winners. 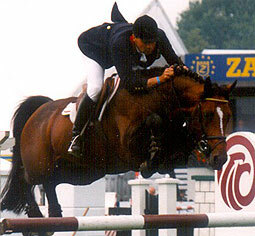 In 2000, 4 years old French Champion in Fontainebleau. 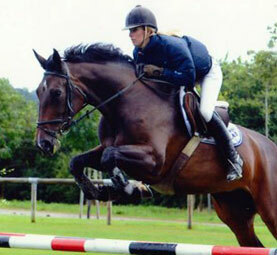 Double clear round, qualified Elite with the best "NEP" mark (grade for conformation, gaits, and jumping style) : 17,5/20. 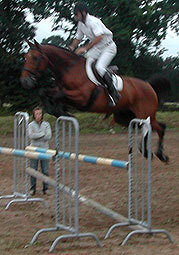 At 5 years old, 15 clear rounds out of 17 before the French National Championship. 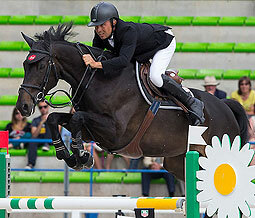 After double clear rounds at Fontainebleau, he was ranked first before the final, but couldn't finish due to injury. 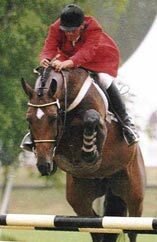 At 6 years old, 12 clear rounds over 16. 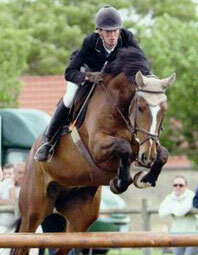 Qualified for the French National Championship. 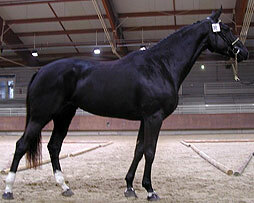 At 7 years old, regularly ranked in international 7 years old classes : 1st at Le Pin national stud, 2nd of Lanaken qualification for the World Young Horses Championship ; etc. 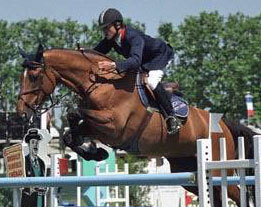 In 2004, Ivory Star begins international classes and is ranked several times : 7th of Monte Carlo's Jumping Price in Cannes CSI 3*, 1st of Picardie General Council's Price in Chantilly CSI 3*, 6th of National Grand Prix of Etrier de Paris, 1st of Sorapel Price in Saint-Lô CSI 3*, 1st of Trophée Nathan in Bruxelles CSI 4*, etc. 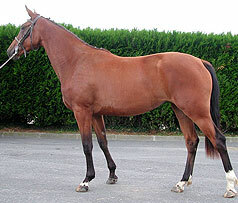 In 2005, winner of CSI d’Auvers Grand Prix and then exported to Italy. 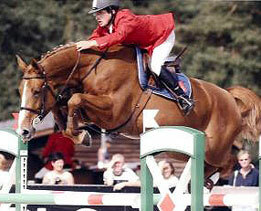 In addition to a good mind, Ivory has strength and respect over fences : qualities he hands down his offspring. 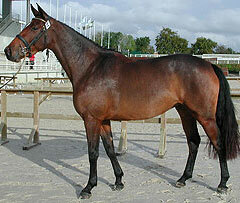 His first foals are tall, muscular, full of energy and have a very good scope with strong hindquarters. 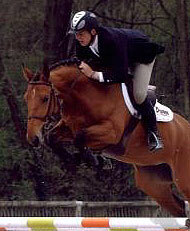 The doses' quality is guarantee and Ivory Star presents a very good fertility rate.